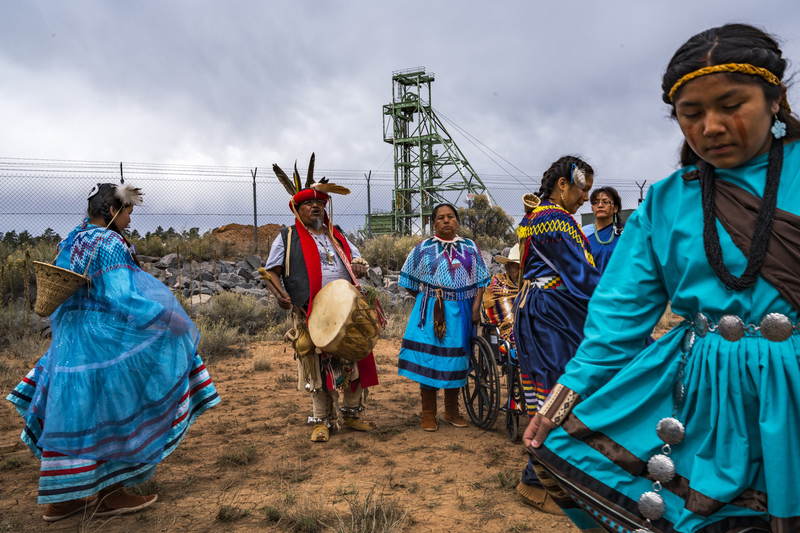 Havasupai Tribal members perform traditional dances and songs in protest of the Canyon Uranium Mine on the south rim of Grand Canyon. "We are on the fronts lines of contamination if this mine leaks. It will contaminate our water and kill our people," says Carletta Tulusi, a former tribal council member attending the gathering below Red Butte, the Havasupai sacred peak.